Silversun Pickups can’t get the past back. But they can sure try. Sweltering clubs half-full with scenesters sipping smuggled drinks. Slivers of smoggy sunset cast shadows on palm trees. This is the Los Angeles of Silversun Pickups. It’s not just home — it’s the band’s identity. As the group’s mid-tempo sound emerged from the Silver Lake area to gain national prominence, home has never left their consciousness. 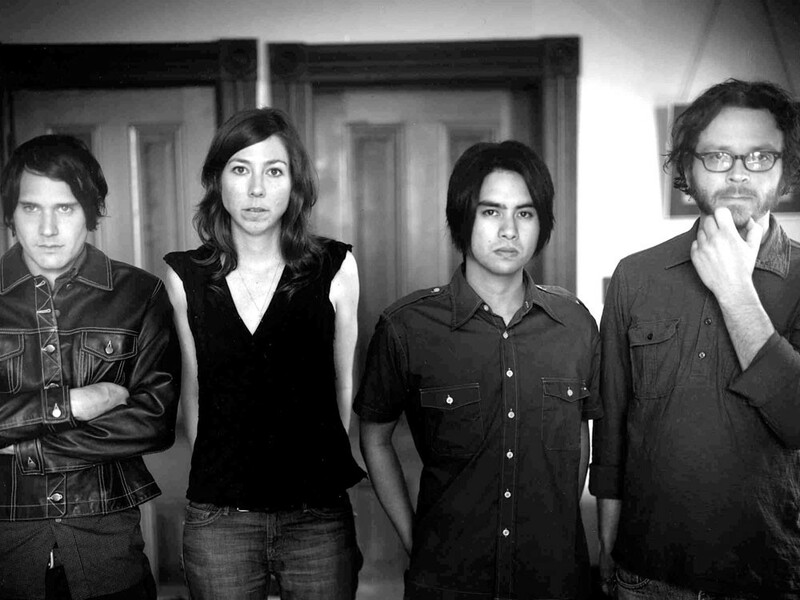 The name Silversun Pickups is derived from the corner of Silverlake and Sunset Boulevard, a very purposeful choice by the band. The Silver Lake music scene blossomed when artists moved there for the affordable housing at the time. And safety in numbers produced a creative class. When groups like Rilo Kiley and Silversun Pickups began to thrive, the national spotlight was thrust on the LA niche. While Silversun’s drummer, Chris Guanlao, is glad their scene has been recognized, he says coverage of its “boom” never held a ton of weight. It seemed behind the times to the people living it. Adapting to the diversity of LA has served Silversun Pickups well. Along with the general hodgepodge of people who inhabit the city, there are also an abundance of musical scenes. Because of this, the band has always striven to fit into any situation that comes its way. This is why their current tour with Against Me! (whom the group met and struck up a friendship with during their promotion of their first full-length record, Carnavas) might not be as absurd as it looks at first glance. “The thing that we pride ourselves in is that we’re kind of chameleons in a way because we can play with a band like Against Me! and it doesn’t seem too far-fetched. We can play with Muse and it doesn’t seem too far-fetched. We can play with a band like Snow Patrol and it doesn’t seem too far-fetched,” Guanlao says. Being in based in LA also led to some interesting odd jobs while the members of Silversun Pickups were still in their struggling bohemian phase. Many of the band members worked as production assistants on sets. Guanlao worked for a graphic designer who specialized in making invitations for big Hollywood parties. He remembers having to source thousands of canisters of white tennis balls (“not an easy item to find”) in order to make invitations for an all-white-clothing summer party P. Diddy was throwing. The absurd excess of the entertainment industry stood at stark contrast to the reality Guanlao and his band mates found themselves in at the time. Though that time was hardly filled with Hollywood glamour, the group still feels a sense of nostalgia for those Silver Lake days. This is most evident on a night-to-night basis when Silversun Pickups play a certain track off of their debut EP, Pikul. They’re moments — memories — captured now as songs. And Silversun Pickups press on, continuing their quest to sonically recreate all the desire and demons that they found in the City of Angels. Silversun Pickups play with Against Me! and the Henry Clay People at the Knitting Factory on Friday, July 30, at 8 pm. Tickets: $24.50 - $26. All-ages. Visit www.ticketfly.com or call (877) 435-9849.